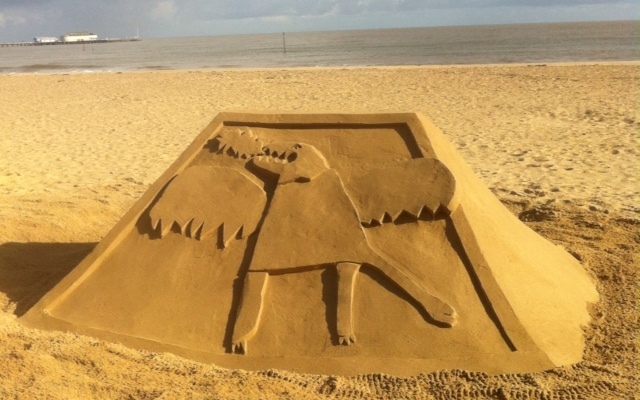 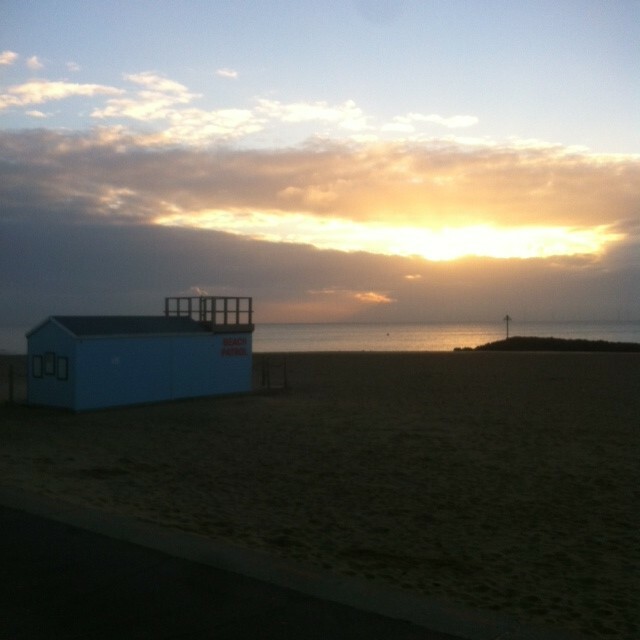 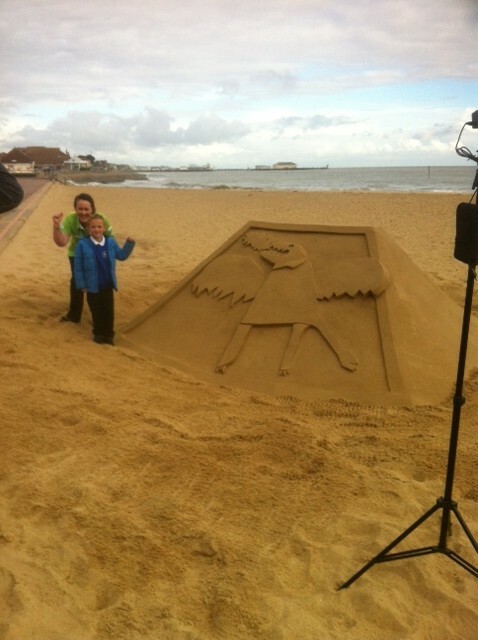 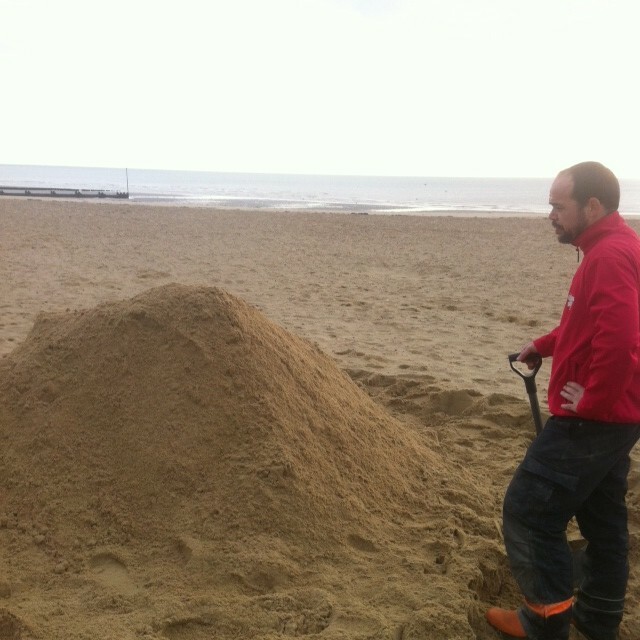 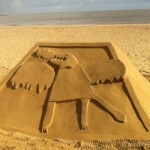 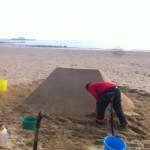 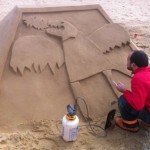 We have had such a great summer making sand sculptures all over the country and for our last one this year, I headed down to Clacton on Sea in the middle of October! 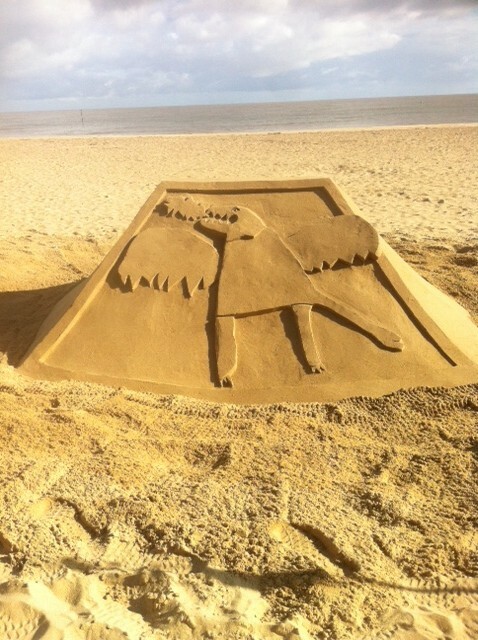 As there was a new ASDA store opening in the town, they had a competition in the a local school to design a sand sculpture that we would make. 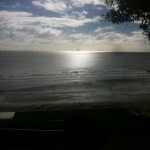 So I drove down to meet Rodirigo and discuss the project over a tasty meal! 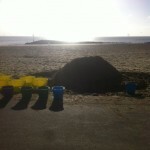 that’s a lot of digging! 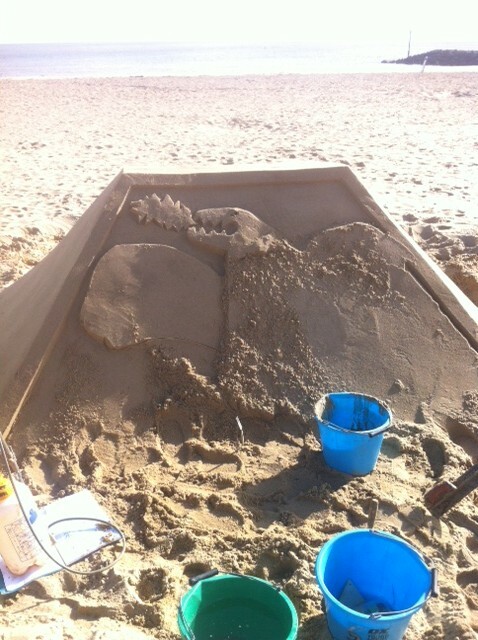 The next day the sun was shining and we headed down to the beach nice and early to make the winner Cody’s design in the sand. We did lots of digging and collecting water in the morning to make a big mound and then carved in the sun and the wind until Cody and the guys from ASDA arrived at 2pm. 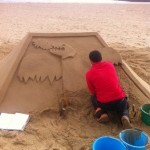 It was lovely to see Cody’s reaction to the sculpture and we had lots of interest from the people of Clackton on Sea. 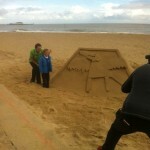 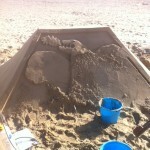 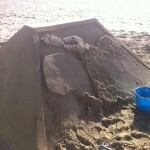 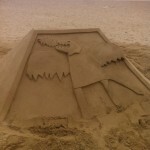 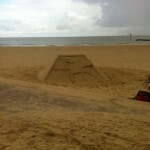 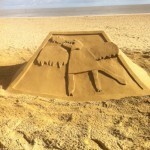 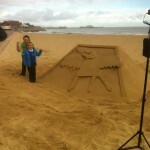 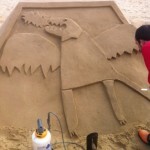 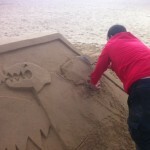 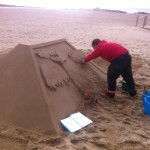 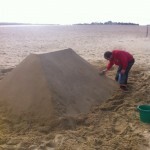 It was a really lovely day to make a sand sculpture and everyone was very friendly. 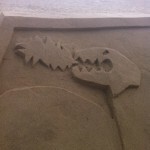 We had a quick bite to eat before hitting the road after another great day on the beach!